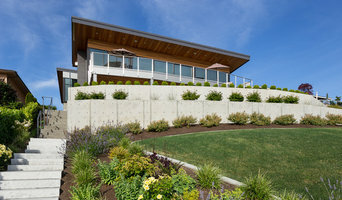 Studio AB is small independently owned and operated design firm with an unique integrated artistic approach to garden making that focuses on the client's personal tastes and lifestyle. We are located in the Greenwood neighborhood in Seattle, Washington. Please call us or check out our website for further information. Ashworth Design Studio specializes in custom residential gardens and interiors with designs that respond thoughtfully to the natural and built environment, as well as to the goals of each client. Our purpose is to create a world of vitality through ecologically-friendly and spiritually-nourishing landscape design and construction. We believe that every day is earth day. Every one of our team members from the designer (Tristan) to installation technicians have been carefully chosen because they are the type of people who care about your vitality and the vitality of the natural environment! We want you to get the most out of your land, and are especially passionate about bringing beauty, biodiversity and a bountiful harvest (i.e. edible plants!). We can also design and build patios, pergolas, terraces, fences, rain gardens, Certified Wildlife Sanctuaries and pretty much anything else you might dream up for your yard. Please peruse our website, and feel free to contact us if you have any questions or would like to schedule an initial consultation. 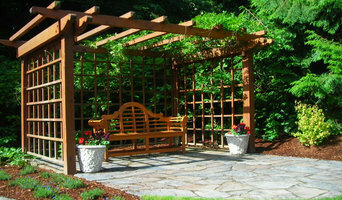 Root Design & Landscape providing landscape design and services for homeowners and others with discerning taste. Educated in project management, interior and exterior design, visual merchandising and horticulture provide clients holistic design styling. Certified Professional Horticulturist providing all aspects of landscape design, coaching, mentoring, container design and fine pruning. Design projects are adapted to each client's personal needs and budget. Plantswoman Design is a design build firm. This means we offer design services and installation of all aspects of the design. From plants to pathways, irrigation to stone work we can build it. Plantswoman Design is a licensed bonded contractor, certified by two professional landscape associations, WALP and WSNLA. We continue to keep up on the latest innovations and green gardening principals. Plantswoman is a term that means someone with a passion for plants and their cultivation. We bring plants to the spotlight introducing the noteworthy and unusual to the garden insuring that each design has a uniqueness that out shines the ordinary. Our skilled staff has been featured in how to books from Sunset Magazine and our work has been featured in many national and local publications. After completion we continue to be involved in many of the gardens we create. 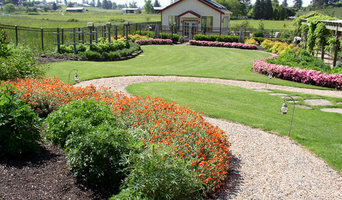 We help prepare for weddings, garden tours, and family events, and offer weekly maintenance of these beautiful spaces. Garden design, construction, and project management. 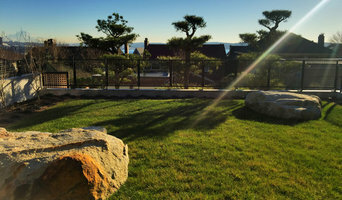 Serving the greater Puget Sound, Seattle, and Eastside areas, we specialize in custom resort-style luxury landscape designs and rejuvenating outdoor retreats. 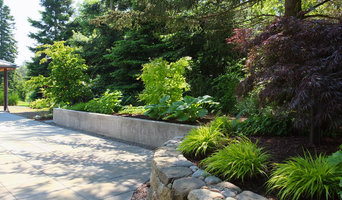 As a northwest leader in sensory landscape design, our captivating landscapes bring refreshing life to outdoor spaces through the artistic balance of sight, color, scent, touch, taste, and sound. With a deep appreciation for nature, our focus is to blend eco-friendly landscape design practices and materials into each landscaping design project. We are excited to say that our landscape work has been published in several magazines and continues to grow in reputation for creating healthy outdoor living environments for people and communities. Based in North Bend, we have brought the joy of outdoor environments to homes and local communities in western Washington and across the United States. When you walk into a landscape that has a soul you know it, you feel it. What I do is help you visualize, create and realize your environment. I help you bring your personality, passion and expression into your landscape.